As energy ministers from major oil producing countries gather in Vienna this week to discuss the stability of global oil markets, the variables that will dictate outcomes have rapidly shifted. Pre-meeting narratives that previously focused on the appropriate level of external private investment—either too much, in the case of U.S. shale producers, or too little, in the case of private sector international oil companies—look woefully inadequate to explain current oil market conditions. Instead, how to deal with the accelerating political and institutional breakdown of several national oil companies across multiple continents now stands out as a pressing structural challenge for the Organization of Petroleum Exporting Countries (OPEC) and U.S. policymakers alike. I highlighted this problem vis a vis Venezuela last March. Stated intentions to replace lost barrels from Venezuela and potentially Iran has brought acrimony back into the OPEC fray. U.S. plans to sanction Iran’s oil exports are the most recent publicly visible geopolitical irritant, but the history has shown that eliminating the endogenous geopolitical swings in the oil cycle takes more intervention and planning capability than even the most well intended partnerships can master, much less nation states whose relations have been punctuated by direct military threats or proxy wars. Talk of a sustained Saudi-Russian alliance that would be effective in eliminating the factors that could cause gyrations in oil prices seem overstated. All of OPEC’s fourteen members have flagship national oil companies (NOCs), that is, state-controlled entities that oversee their nation’s energy industry. Other important oil producing countries such as Brazil, Mexico, and Russia also have NOCs that dominate their oil and gas sectors. Many of these national firms are facing structural budgetary, corruption, or other internal political challenges, including attacks on facilities by local rebel groups, criminal gangs, terrorists, cyber hackers, and/or armed combatants in ongoing military conflicts. As a result of these ongoing NOC difficulties, supplies from several OPEC countries, Venezuela, Libya, Iraq, Iran, Nigeria, and Angola have been volatile in recent years. In particular, the collapse of Venezuela’s oil industry and a slide in deep water oil production from Angola have been more instrumental to the market success of OPEC’s agreement with Russia and other non-OPEC oil producers than the producer group’s “planned” cuts in reducing excess inventories by almost 200 million barrels since early 2017 and pushing Brent oil prices up from about $55 to $75 a barrel. Cornerstone Macro noted in a recent report that oil stocks in industrialized countries experienced a counter seasonal decline of three million barrels in April, as compared to the more customary twenty million buildup on the heels of reduced global supplies and more robust than expected U.S. and global economic growth. Whatever the outcome of the OPEC-non-OPEC Vienna group’s deliberations this week, it could turn out to be only a temporary fix to this more structural NOC problem than generally understood. Right now, OPEC spare productive capacity is highly limited. Saudi Arabia and Russia together would probably have difficulty adding much more than 1.5 million barrels a day to markets through the end of the year. Ongoing problems in Libya and Venezuela, combined with renewed sanctions on Iran, could possibly take more than that off the market. And what if a new supply problem emerges? Saudi Arabia and Russia are discussing longer run cooperation. What would that look like in a world where uncertainty plagues many national oil companies around the world, including, perhaps, their own firms? Does budget-constrained Saudi Arabia agree to divert billions in tandem with Russian firms to expand additional oil fields’ productive capacity down the road to capture future market share that could be available as NOCs in other countries continue to fail? If Saudi and Russia make capacity expansion pushes, what becomes of OPEC as a coherent organization? Will the Vienna group need to shrink in number? Conversely, if Saudi Arabia and Russia choose to make only a quick stop-gap measure just to keep markets from overheating in the next few months and don’t invest in new capacity, will they sacrifice future revenues to private oil and gas investors who can bring on capacity more quickly if NOC capacity continues to falter? The 2014-2015 price collapse has proven that a year or two of low prices won’t be sufficient to knock out growth in U.S. tight oil. 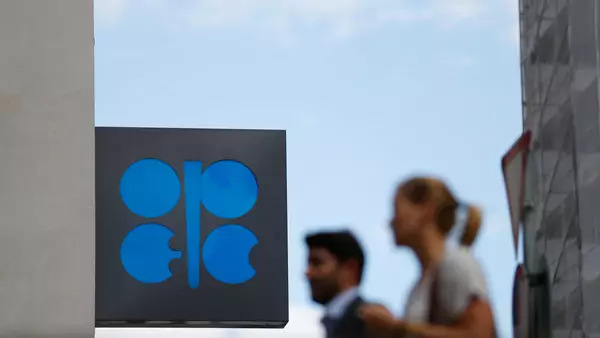 That means restarting a price war in the short run isn’t an ideal option for OPEC, especially if those flooding the market do not appear to be able to survive the prolonged revenue drop that would make a price war option an effective threat. And my guess is that low oil prices also aren’t likely to be sufficient to knock out capital investment by the major international oil companies (IOCs). Those companies have started to pivot their strategies to direct their capital spending to activities that will be more productive than those pursued over the last decade when booking new large reserves was the priority. Rather, companies are focused on spending programs that can bring higher production more quickly, such as directing capital spending to shorter cycle field extensions and satellite field developments that can bring first oil into the market rapidly within one to three years (as opposed to mega-projects that took near a decade to develop). Companies are also developing new techniques to reduce the cycle time and costs on challenging green field projects. Moreover, innovation in the private oil and gas sector is increasingly de-risking the landscape for future oil and gas investment for private investors. As technology improves, companies are going to be able to squeeze more barrels out of all kinds of existing known in place source rock, not just oil and gas from shale formations. The most recent example is the Austin Chalk where U.S. companies are rushing to test new drilling techniques to positive results. There’s an additional rub. Saudi and Russian efforts could have trouble influencing intermediate oil demand trends. Even if the Vienna group takes production increase decisions this week that staves off any economically crippling oil price shock that could have sent oil demand into a tailspin, caution signs are already emerging that oil prices even at $70 a barrel are creating some economic headwinds. Markets are already nervous about trade wars. Reports are emerging that high fuel prices are hindering economies within the Euro zone and elsewhere. Rising fuel prices are visibly creating economic and political problems in India and other developing economies. And the United States needs strong demand growth elsewhere to manage its own economic issues. In the case of an unexpected global economic slowdown, OPEC supply disruptions could take a back seat again to “lower for longer” story lines about failing oil demand (potentially in the midst of rising U.S. production in 2019), which could make any discussion of a more permanent, workable Saudi-Russia oil alliance even harder to envision.